Okay, what I am going to say is radical. The truth is that half measures do not work with break up recovery. · The first one is to nurture her memory. You can go to therapy and spend hours talking about the way she made you feel. You can spend months trying to understand why she did it. After a while, all your friends will run away. They will use words like pathetic and loser when they talk about you. 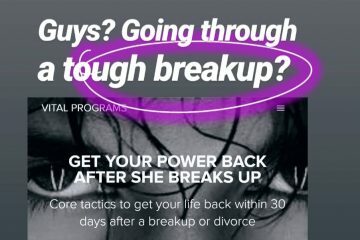 · The second option is to get your full power back. 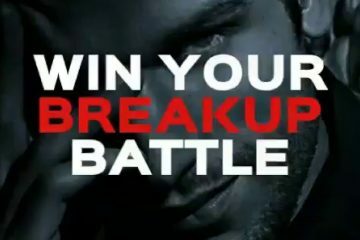 A break up is a battle situation. You have been invested in this girl for months, maybe years. After you break up, you keep on giving. Your whole mind set needs to shift and be repolarised to one single priority: you! There is no soft approach here. She is in your mind and it is killing you. 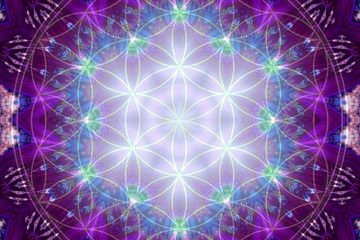 It is a self destructive spiral which annihilates your life. Because she is in your mind. More! She has power over you. You are no longer master of yourself. What you want is a new mind set. The old mind set of the victim or loser is killing you. You want to defend your life and your territory. You radically shift the way you stand in it. You wake up your survival instinct and get over it. When you are not over it, you are under it, right? Being under it means carrying a useless weight which drains you and takes away your strength. Here are some key mind sets you need to wake up in you. If you don’t apply them, you are dead! 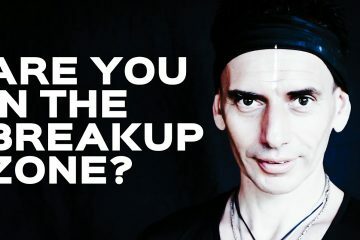 In fact this break up might be the best thing that ever happened to you. Put it this way: you are free! You won’t get back together. In other terms don’t hope she’ll change her mind. If you meet her by coincidence, don’t see this as a secret sign that you two are meant for each other! This is an illusion. You are perfectly fine with or without her. Right now, she does not deserve the attention your give her. Getting drunk is the worst thing you can do. Drinking does not give you your power back. In fact it does exactly the opposite. · You owe her nothing! A relationship is a temple with two pillars. If she takes off, consider yourself 100% free. Let it totally collapse. It’s not your responsibility anymore. · What she does is none of your business! You might believe you have rights? You don’t! It is as simple as that. She does what she wants, when she wants, with whoever she wants. You have no control over that. There are many reasons she did what she did. Most of them have to do with fulfilling her needs. Get real about who she is and what she wanted. Don’t defend her. Again, in a break up situation, you need to wake up your power and see this as a battle for survival. It is a waste of your precious time. You have the power to force yourself into a new mind set. This new mind set gives you freedom, space and instant recovery. Sure, you won’t get all the negative attention from friends and family. The question is: what do you want? This is about your own survival. Do what it takes to express your full power.